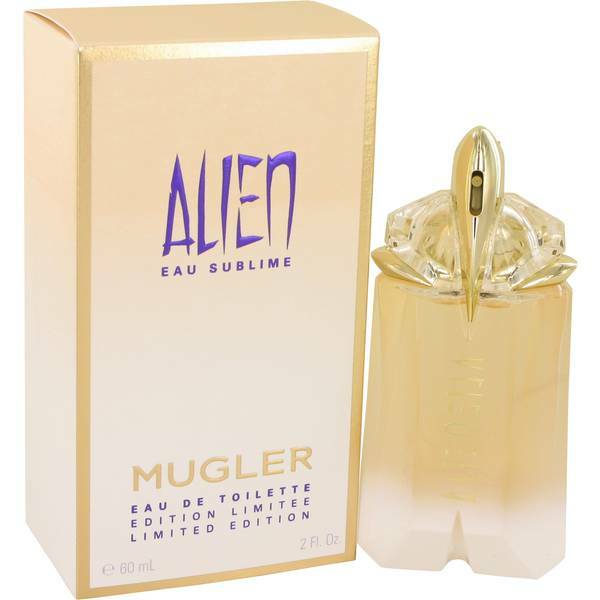 Alien Eau Sublime Perfume by Thierry Mugler, This energetic fragrance entices with its fruity overtones and joie de vivre . 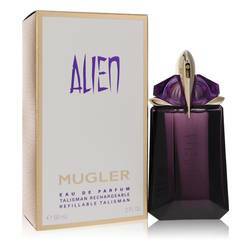 Alien Eau Sublime starts with sunny top notes of mandarin, orange, lemon and galbanum. The citrus tang catapults into the floral medley of cherry blossoms, orange blossoms, tiare flower, heliotrope and jasmine. 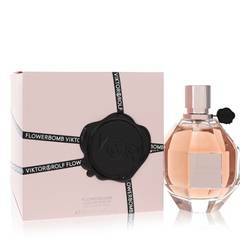 Its cashmere base is complimented with vanilla, white amber and vetiver. 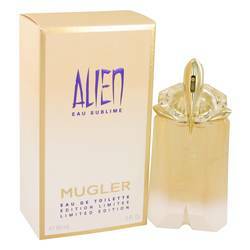 Long-lasting with moderate sillage, this new, lighthearted addition to Thierry Mugler’s Read More Read More Alien collection delights without overpowering. 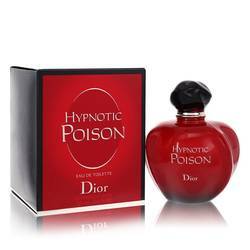 The floral tones tantalize while the citrus notes energize. 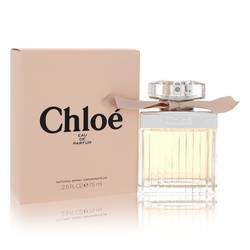 Alien Eau Sublime was made to shine in spring and summer, but it can also bring a breath of fresh air to cooler seasons. 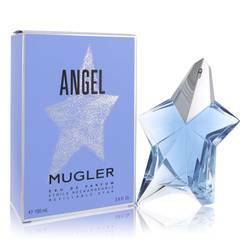 Designer Thierry Mugler began launching fragrances in 1994 as an extension of his prolific fashion design career. 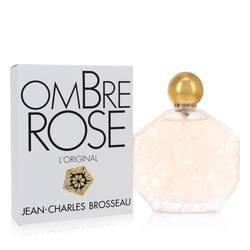 This fragrance is the work of perfumer Dominique Ropion and was introduced in 2017.